Alhamdulillah Alfitrah foundation, as part of the International Union of Braille Quran Services, has launched our project to send 100 Braille Qurans to Gaza . Here brother Hasan Hamdaqa of the Imam AlShatiby association and Dr Imad from the AlQuds institute are with Dato Hamid Sheikh Mohammed , trustee of Alfitrah foundation. Hasan is arranging the delivery of the Qurans into Gaza in time for Ramadan inshaa Allah where they will be sent to Dar AlQuran Al Kareem wa Sunnah for distribution to various schools ad centres for the blind. Swift Code MBBEMYKL , Malayan Banking Berhad,Block C, Damansara Offices Complex, Jalan Dungun, 50490 Kuala Lumpur. Please email us at alfitrah.malaysia if you have any queries. Today AlFitrah foundation had a visit from brother Hasan of Imam AlShatiby Association in Gaza who has requested for Braille Qurans for their blind students in Gaza. The big question is how to get the books into Gaza but inshaa Allah we will find a way ! We used the version published with kind permission from AS Nordin. It comes with both Arabic and English translation. It is now ready for distribution so please contact us if you would like a copy. 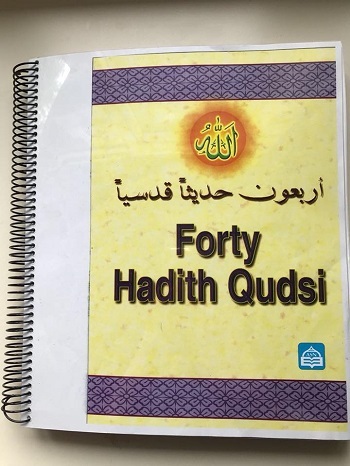 Alhamdulillah our Braille book of Juz 30 of the Holy Quran which we shipped to brother Wasiqullah in Kabul, Afghanistan has finally arrived. This makes it 34 countries that Alfitrah Foundation has reached alhamdulillah. Today we had a visit from Sheikh Mahmoud Samhoun from the NGO Imam Al shatiby in Lebanon. The organisation specialises in Quran teaching and memorisation . 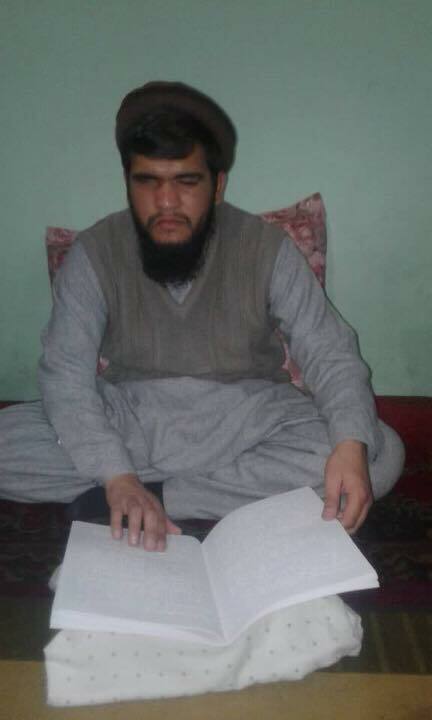 The sheikh has experience teaching the blind and knows Arabic braille. We gave them some copies of our Quraanic books and inshaa Allah will work with them in the future to educate blind Muslims in the Middle East.